Wow your guests with an up close and personal view of our cable cars through our Ballroom’s floor-to-ceiling glass windows, along with its spacious verandah that is perfect for basking in the scenic views and sea breeze. Take your celebration to the next level — at highest point of the peak! 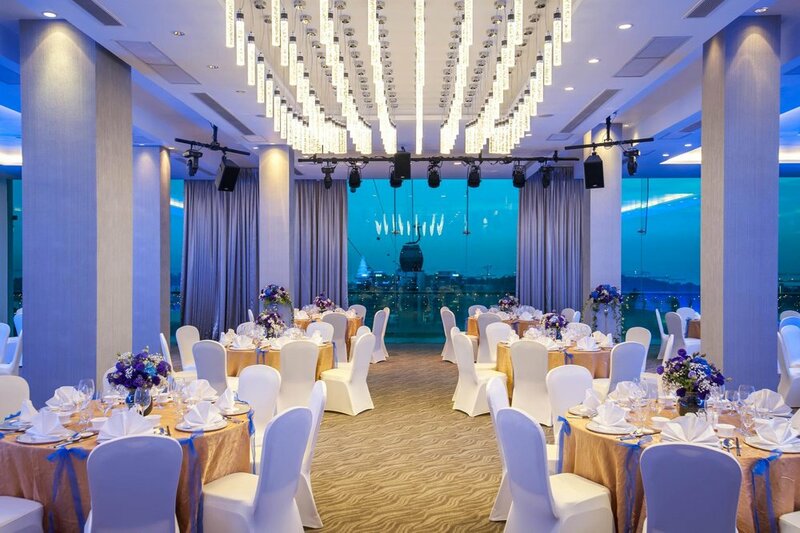 With surrounding floor-to-ceiling ceiling glass windows, you and your guests get to enjoy jaw-dropping views of the sea and garden landscape in the comfort of an indoor venue. For the outdoor lovers, revel in nature’s best with an al fresco celebration, surrounded by breathtaking panoramic views, comforting sea breeze and lush greenery.